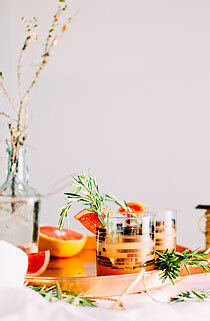 (See exception). 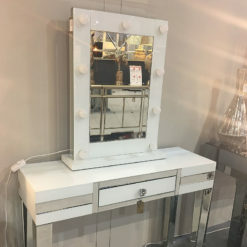 Ships within 4-5 days. 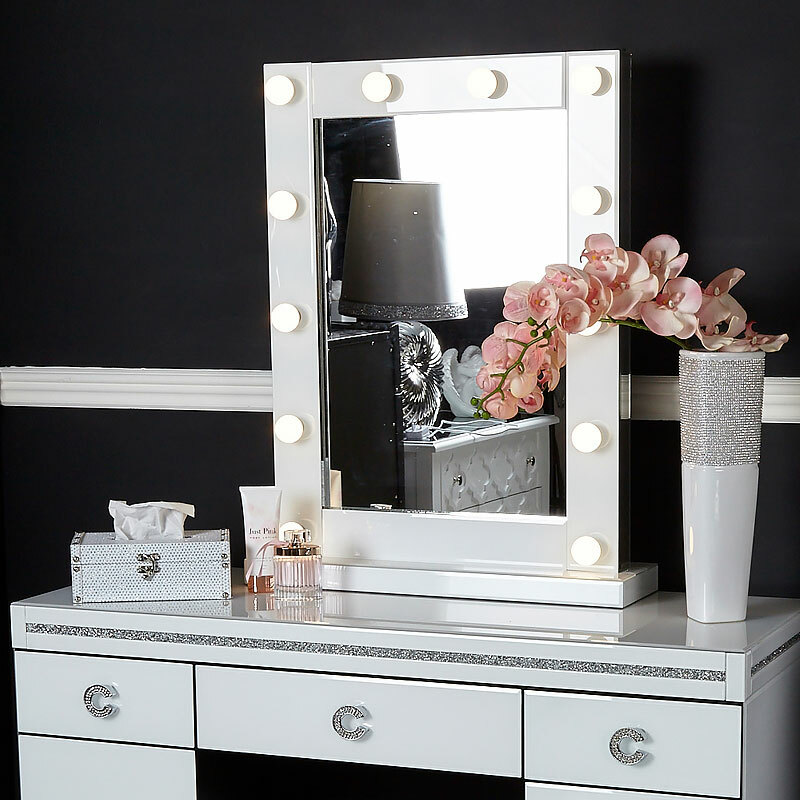 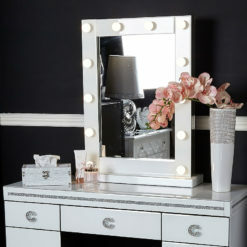 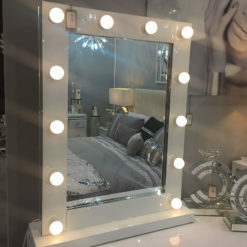 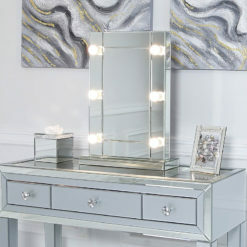 Stylish sparkling Madison White freestanding bevelled edge dressing table mirror with 12 LED light bulbs, white glass frame and electric cable featuring dimmable switch. 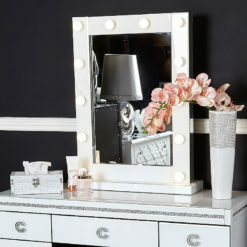 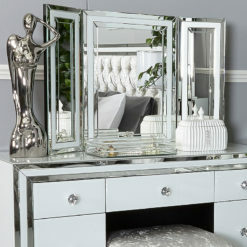 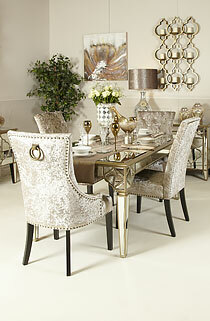 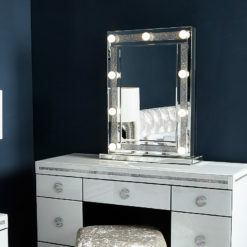 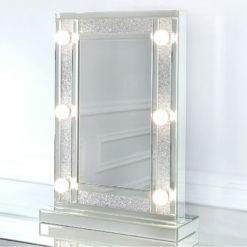 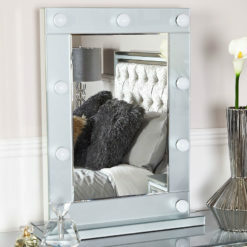 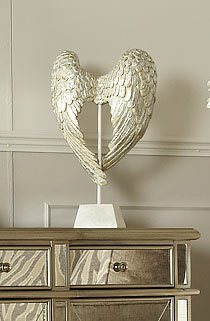 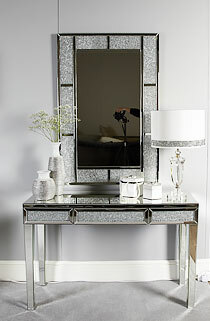 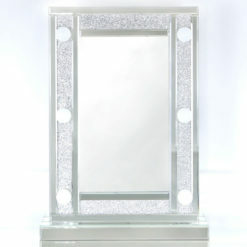 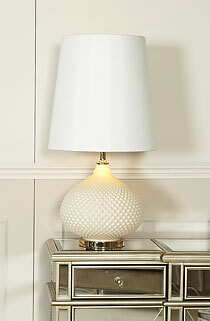 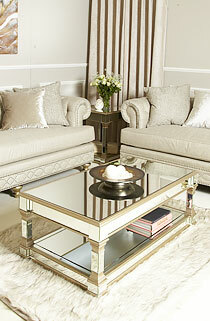 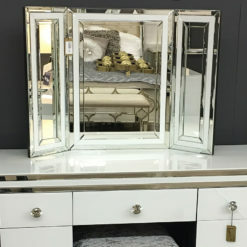 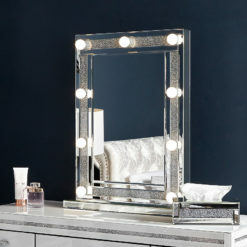 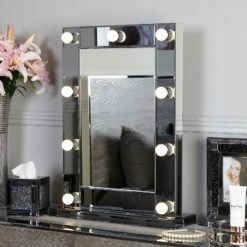 Fantastic way to add some old school Hollywood glamour to your bedroom. 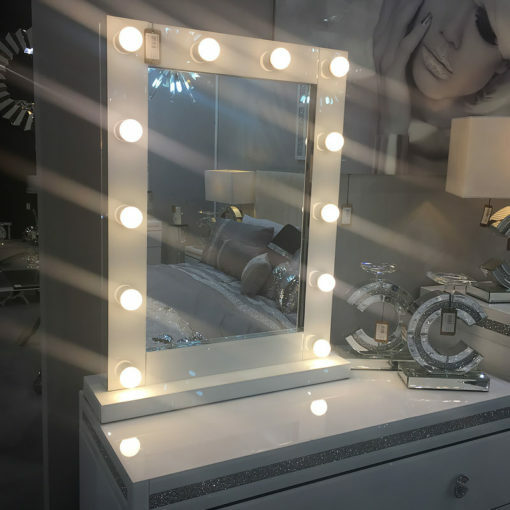 Many similar mirrors do not have the added feature of a variable brightness option, which can be extremely useful to get the perfect amount of light. 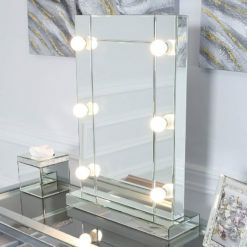 £248.00 £158.00 This item will be available on May 10, 2019. 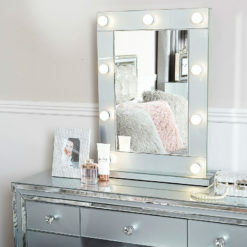 £230.00 £158.00 This item will be available on May 10, 2019.